Start Enjoying Your Home Today! Whenever you need house cleaning services or maid service in Chicago or surrounding suburbs listed at the bottom of this page, we’ll be here to make your day cleaner, healthier, safer and brighter. Imagine coming home to a pristine sanctuary that positively sparkles. Call us today. What you need to know, up front: We’ll take exquisite care of you—such exquisite care that we guarantee our services 100%. If you aren’t completely satisfied with our house cleaning and/or maid services, you’ll get your money back—every dime. No questions asked (except to find out how to improve, since we guarantee satisfaction every time). It’s that simple. But there’s more—so much more. Reputation: Second to none. Seasoned carpet cleaners, window cleaners and realtors refer us exclusively to their clients. How’s that for a stellar standing here in Chicago? Experience: Since 2000 we’ve tackled every kind of house cleaning challenge and floor and surface type finish, from chaotic apartments to million dollar mansions—and emerged victorious! Education/Certification: Our maids attend rigorous training and know what to expect from the cleaning supplies and equipment they use. They understand the benefits of proper use and the consequences to various surfaces when misused. Systems: We’ve developed a signature, efficient house cleaning system. We use top-quality, environmentally-friendly cleaning supplies to keep your home safe, looking and smelling clean. And we use HEPA filtered vacuums to capture dirt, dust mites, pollen, and allergens. Our employees (no subcontractors!) arrive in marked cars, professionally dressed in uniforms, and each one treats your family, pets and home with utmost respect. House cleaning services, maid service in Chicago and surrounding suburbs. Best Maids has been serving Chicagoland area for over 10 years. Providing house cleaning services to families, couples, the elderly, and busy professionals like you. Our team of experienced house cleaning experts can handle homes of any shape, size, or layout, and we welcome families with children and pets. We’ll make your home cleaner, nicer to live in, and most importantly, healthier. We clean small offices under 10,000 sq/ft. We'll deliver cleaning you want. We offer 100% Service Satisfaction Guarantee. If you aren’t delighted with our service, let us know within 24 hours and we’ll re-visit your home immediately without additional cost or obligation to address the situation you find faulty. Your safety and peace of mind are our top priority. Best Maids professionals are trained, background checked and insured. "We are extremely pleased with the service on every count. 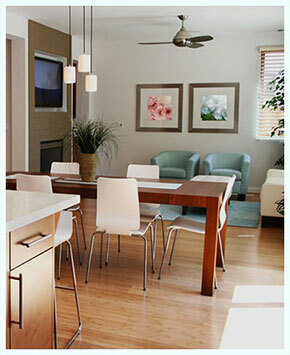 The maids are responsive to our needs and very responsible." "The teams are always very professional and pleasant. They always do a thorough cleaning." "Thank you so much for always being so attentive to my requests – You truly are the Best Maids." Best Maids provides house cleaning services in following zip codes of Chicago.